In the last episode, we introduced a new module to share between client and server. 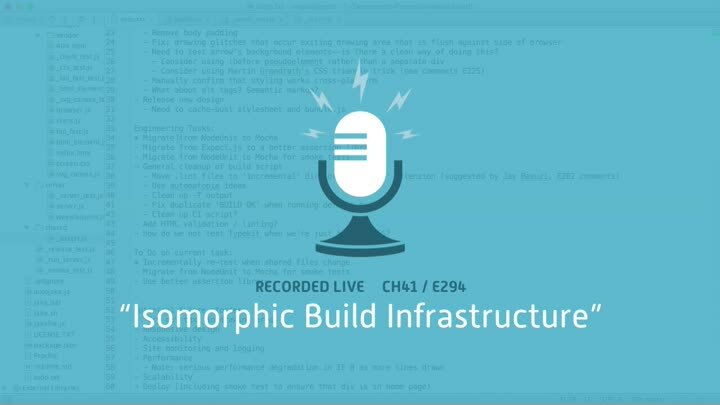 This is (somewhat misleadingly) called “isomorphic code.” Unfortunately, we didn’t update our build infrastructure to match, so the new code isn’t building or triggering test runs. We fix the problem, then start migrating our smoke tests from NodeUnit to Mocha.